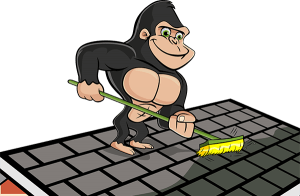 If your roof needs a good cleaning but you are not looking forward to climbing skyward, our Gorillas can help! Put your anxieties to bed without losing quality service with our Ottawa roof cleaning and moss removal. Keep your feet on the ground while our Gorillas go to work, keeping your roof clean and moss-free. Getting clutter off of the surface of your roof might be the main reason for calling in a professional service but our Ottawa roof cleaning and moss removal does so much more. Roof clutter can lead to degraded materials and the spread of moss and invasive plant growth. Just climbing up onto your roof seems easy enough but it is a chore all on its own. Without the proper experience, there is nothing standing between you and the ground below. That is a scary thought! Aside from the heights in general, a cluttered roof can be slippery on its own. Moisture, although nice in a sauna, and good for your garden, can lead to the spreading of moss and making surfaces increasingly slippery. Save yourself the hassle (and a trip to the hospital!) with our Gorillas. For your Ottawa roof cleaning and moss removal, our Gorillas waste no time in getting to work. When it comes to property maintenance, working safely needs to be a top priority. 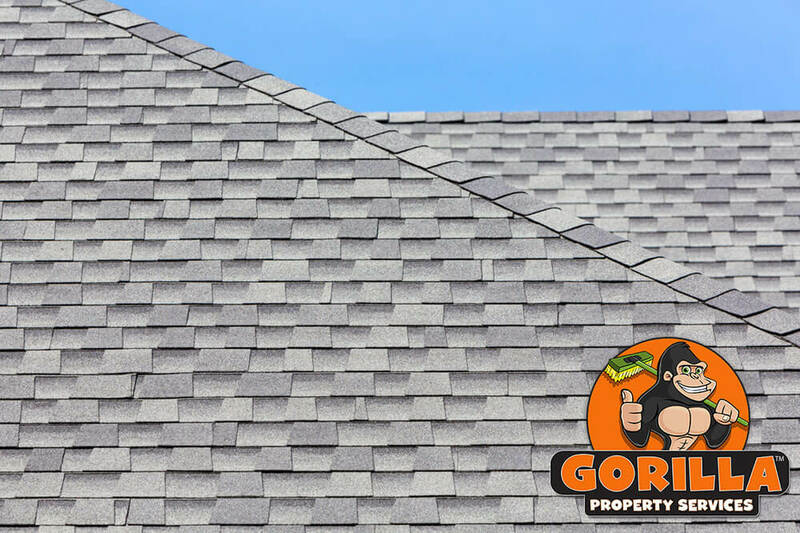 That is why our Gorilla technicians operate using the proper stand-offs before ever laying a foot on the surface of your roof. Surface clutter is then cleared away in order to give off a more complete view of the condition of your roof. Gorilla technicians see several roofs in a day and that is what makes it possible to assess and address every aspect. Whether it is the good, the bad or the ugly, our Gorillas know what to do. However, no one cares more about your property than you do. That is why ‘before and after’ photos are always a part of our services. Nothing happens without your say-so! Getting rid of clutter can be a pain but ditching moss is a more complicated procedure. Scraping it off with wire brushes or other tools can strip away the softened material underneath.